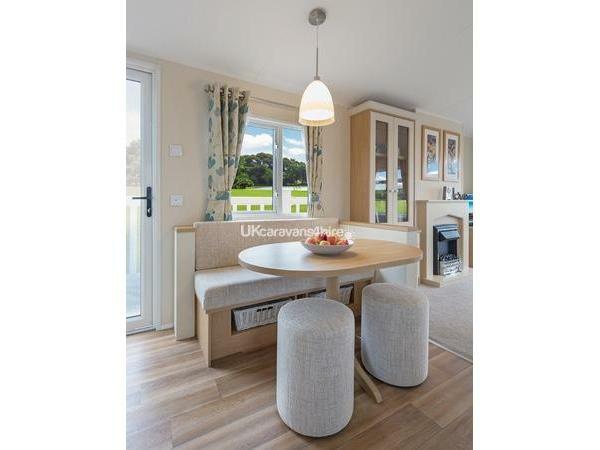 Premium Plus 6 is our beautifully furnished and maintained caravan, fully double glazed with gas central heating in every room. 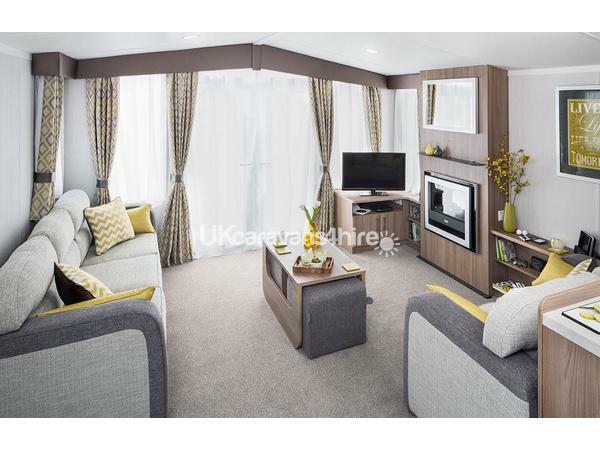 King sized master bedroom with walk in wardrobe and en-suite. 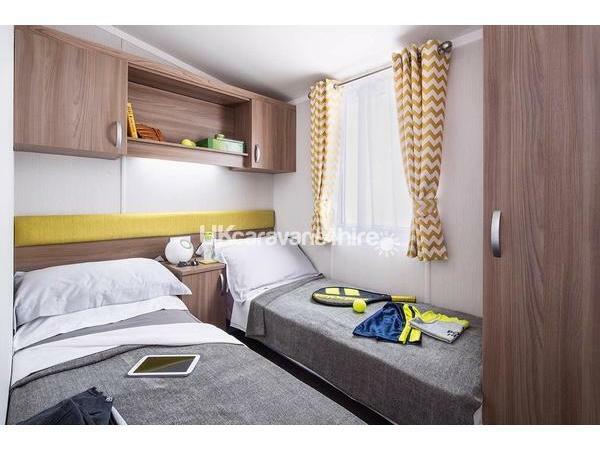 Twin bedded second bedroom with wardrobe and cupboard storage. 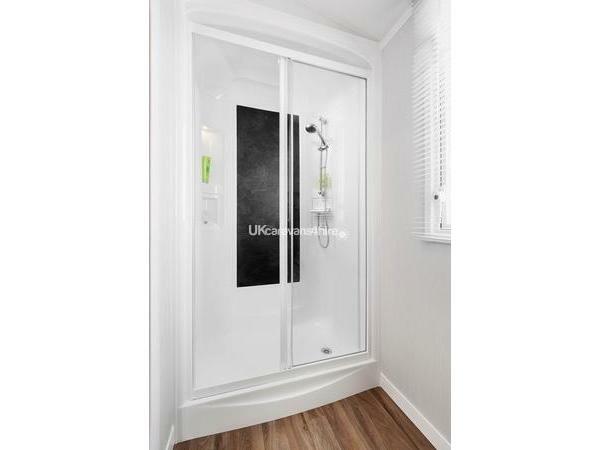 Bathroom with full sized bath and heating. 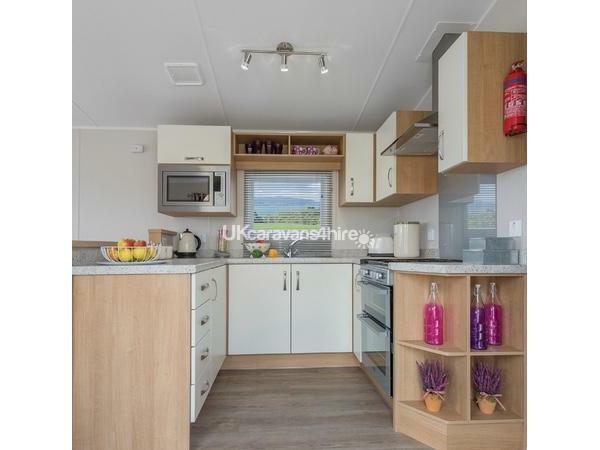 Fully equipped kitchen with fridge freezer, cooker,microwave,toaster,pull out ironing board ,table & chairs, with front door onto decking. The lounge has a 40 inch TV, DVD player, DAB radio & Bluetooth speaker. Free standing sofa bed and comfy chairs. 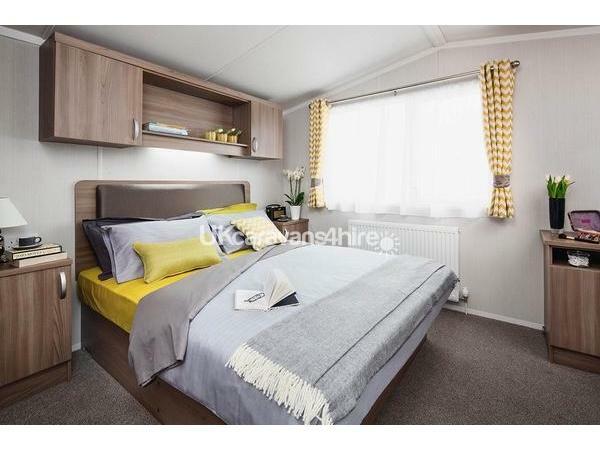 Radiator and electric blow air fire, lots of cupboard space, Patio doors lead onto decking.The decking leads down to the parking area adjacent to the caravan overlooking private grassed area. 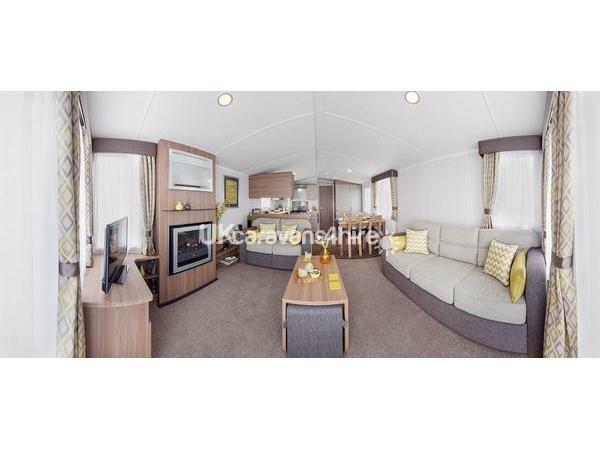 The caravan is sited in a quiet flat area close to the main complex and is within 10 minute distance to the beach of Aberporth and only 20 minutes from New Quay. Pub/Club, Amusement Arcade, recreational field, outdoor heated Pool, Laundrette, convenience Shop, Takeaway, Restaurant, Entertainment. weekend entertainment (during peak times). Launderette. Woodland area for bird watching with easy walkway from the park and 10 minutes drive down to the beach.